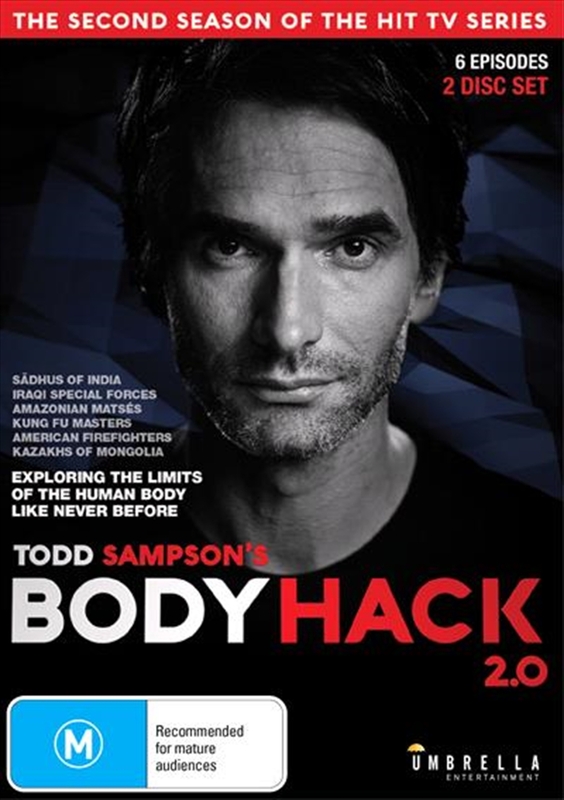 Adventurer Todd Sampson is on a mission to investigate some of the most extraordinary people on the planet to see what we can all learn from their lives. To truly understand them, he will not only walk in their shoes, he will hack into their world using science as his guide.This is the story of human potential and how our mind and body can adapt to almost anything.In this second series, Todd will face extreme challenges with the Matss of the Amazon, Iraqi frontline soldiers, sadhu holy men of India, the kung fu masters of China, the firefighters of Washington DC and the Kazakh Eagle Hunters of Mongolia. Each episode will highlight a unique aspect of human physiology and psychology, including cold adaptation, chronic stress, spatial awareness, pain tolerance and heat duress.From illuminating key moments in the story of human evolution to the use of the latest, hi-tech visual effects, this series is a visually fantastic journey that will take Todd from the frozen tundra to steaming jungles to see first-hand the ability of our species to go beyond the limit.